Unlike some other people who seemed to need a subject for their latest blog post or journal article, this wasn’t something I just sat down and thought about for half an hour. This was the result of a few years worth of work, and a large meta-analysis of theory and practice. The elements that most people seem to take issue with when looking at the above diagram are ‘Confident’ and ‘Civic’. The top row, the four ‘skillsets’ seem to pose no problem, but people wonder how they can teach the bottom four ‘mindsets’ - particularly the two just highlighted. The latest episode of the Techgypsies podcast by Audrey Watters and Kin Lane does a great job of explaining the Civic element of digital literacies. I’ve embedded the player below, or click here. Listen to the whole thing as it’s fascinating, but the bit that we’re interested here starts at about the 20-minute mark. Audrey and Kin use the ‘scandal’ around Hillary Clinton’s private email server as a lens to show how poor our understanding of everyday tech actually is. What I thought was particularly enlightening was their likening the ‘learn to code’ movement to standard IT practices. In other words: “oh, this is too hard for you? well, just leave it to us and we’ll sort it out for you”. In other words, passive, uncritical use of technology is fine unless, you know, you’re a ‘techie’. In learning organisations, in businesses, and in families, there are practices built upon technologies that need to be learned. As Audrey and Kin outline, although it’s entirely unsexy, an understanding of difference between POP, SMTP, and IMAP would have meant people could have seen the email ‘scandal’ as entirely a non-event. What I really appreciated was Audrey’s reframing of this kind of thing as a social studies issue. We shouldn’t have to have separate classes for this kind of thing any more. Instead, our society should have a baseline understanding of how the tech we use every day works. That also applies to web domains, and to the way that data flows around the web. Of course, a lot of this is covered in Mozilla’s Web Literacy Map. Not all of what we need to know pertains to the ‘web’, of course - which is where the Essential Elements of Digital Literacies come in. They’re plural, context-dependent, and should be co-defined in your community. As well as raising awareness of the latest shiny technologies (e.g. blockchain, AI) we should be ensuring people are comfortable with the tech they’re using right now. 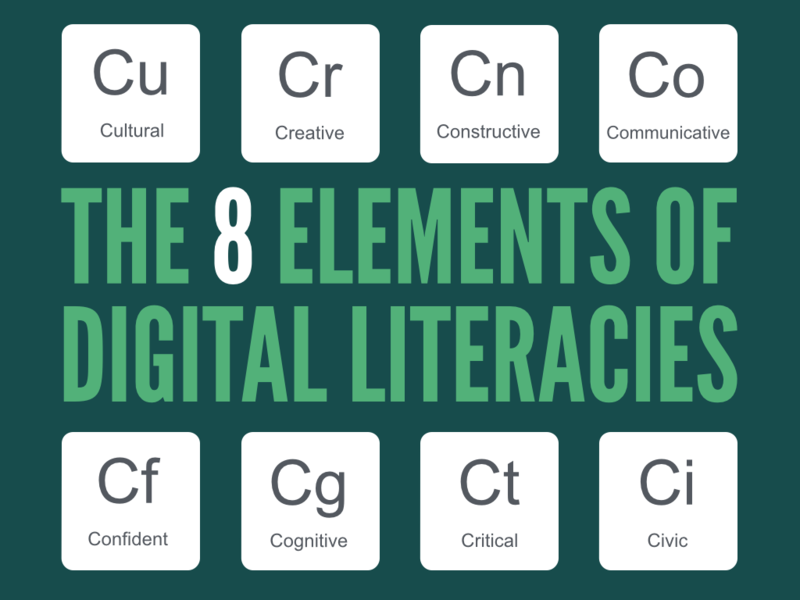 What does it mean to be a digitally literate school leader?